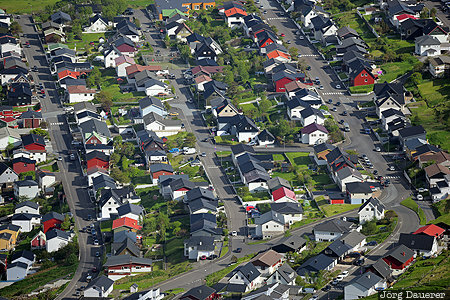 The pattern of houses and streets of Klaksvík seen from the top of the mountain Klakkur. Klaksvík is on the island Borðoy, one of the Northern Isles (Norðoyar) of the Faroe Islands. This photo was taken in the evening of a sunny day in June of 2017. This photo is part of the exhibition Urban Patterns (June 2017). This photo was taken with a digital camera.